Diesel, leather, 6 speed, alloys, superb. fantastic family diesel, hard to find with only 74000 miles, complemented with full leather, power steering, electric windows and mirrors, alloys, air/con, 6 speed, c.d player remote central locking, lots spent keeping this car in top shape, and lots more, proven reliability, economical must be seen. A compact luxury saloon that's incredibly comfortable to travel in, comes equipped with a great selection of clever technology, features impressive safety features and won't let you down. 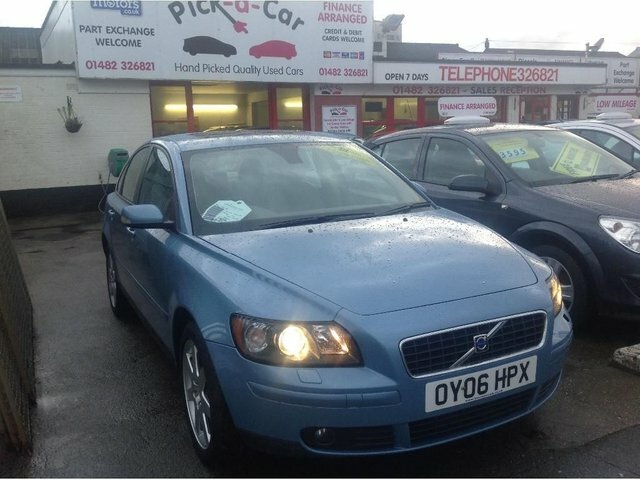 Why not come and test drive one of the used Volvo S40 models for sale in Hull? Here at Pick A Car we stock a fantastic selection of quality vehicles, with models available to suit a wide range of budgets. Be sure to contact a member of the team by phone, online or in person to discuss your individual requirements.